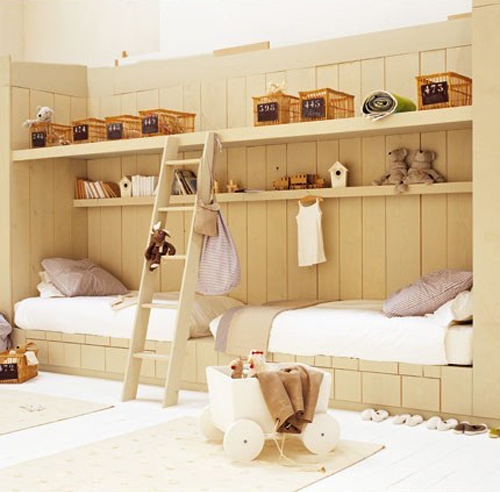 Today some more nursery inspiration with these French baby rooms. 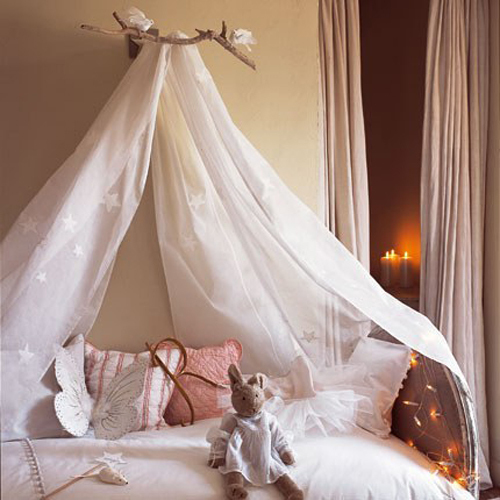 The princess style room above is created by hanging some beautiful fabric over a driftwood branch. Storage remains the prime source of conflict between parents and children. With this storage unit (image above) functional storage space has been created. 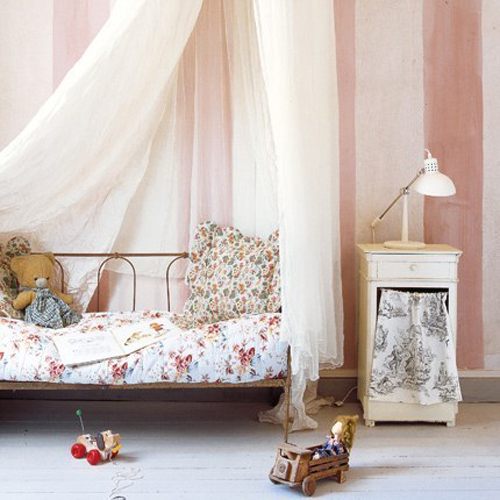 A wrought iron bed, soft pastel colors and a canopy are the ingredients for a romantic girl’s room (image above). Wow, that princess room is divine! I love that shade of pink and the canopy flowing over the bed with the driftwood is beautiful. Totally in love with that last photo. 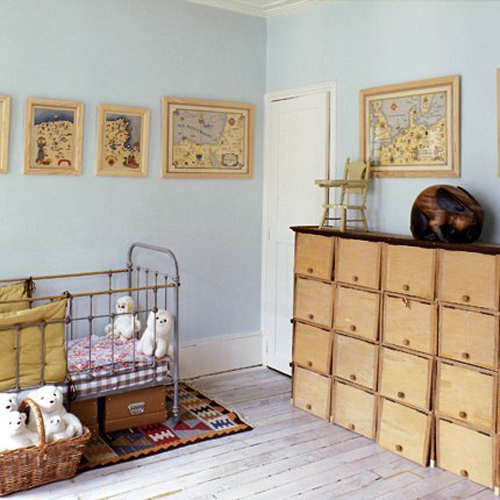 Oh to have had a room like that when I was a child. i love them all… beautiful spaces!!! I’d prefer to know of french speaking nursery rhymes but any at all would be great to know. I was on a website call Babydow and since they finally open the nurseries, some of the french has crossed over to the english part of the site. I want to put this poem on the wall in my nursery, but the nursery has a French theme to it. So if anyone could help me and translate this, I would be very grateful.